Design Your Lifestyle to Lose Weight Without Diet or Exercise - Really! Design Your Lifestyle to Lose Weight Without Diet or Exercise – Really! Allow me a brief preamble here. I grew up the only child of a single mother who was obese. I watched as she repeatedly lost 70, 80, and 90 pounds only to put the weight back on plus a few pounds more with each dieting episode, slowly eroding at her health. And so I hold a deep resentment for those entities that market with unrealistic and inflated claims to those people who are desperately fighting obesity. This article is not about that. A year ago when we were planning our current nomad-ing journey my head was full of expectations and hopes for what our experience would include. Weight loss was not among them. However, as a mom of 3 in my 40s who spent too much time in my car getting the kids to their activities and too little time moving my own body, I could stand to lose some weight. To be clear, I am not obese. 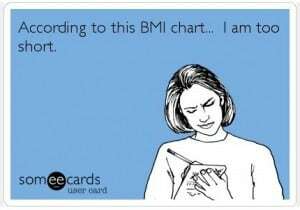 By standard measurement I am on the high end of what is considered average BMI and am usually told I could lose 15-20 pounds to be at ideal weight. Still, I had put my own weight and fitness on the back burner while I worked on other goals that were more important to me at that time. When we found our apartment in Brazil I realized we were within walking distance of a couple of gyms and so I went to check them out thinking that maybe I would start to do some regular exercise. However, with the falling dollar our expenses were a bit higher than I had expected and once again I decided that a gym membership was not top priority. In the meantime, we were enjoying a lot of Brazilian food! The kids and I are fond of finishing our meals off with Brazilian brigaderos (a chocolate truffle type dessert made from condensed milk). Restaurants are full of delicious options. In addition our staple from home, soy milk, is not easily available here so we reverted to whole milk at home. In other words, we haven’t been counting calories! What a surprise then when I recently got on a pharmacy scale to find I had lost 7 pounds (about 3.2 kilos) in our 5 months here! 7 pounds may not be a huge amount but I was ecstatic to have lost 7 pounds without any effort on my part. 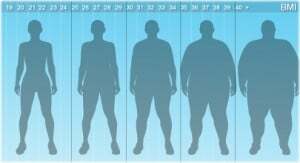 So why am I losing weight? At home in Texas my life is dependent on a car. We have nowhere we can walk from our house except to other houses in the neighbourhood. On average I estimate I walk 2-3 miles per day just to do daily activities such as going to the grocery store or getting my youngest home from school by city bus. In addition, a significant amount of this walking is done with weights. I don’t think of it that way, though, because the weight is of groceries. I am still not good at remembering this and invariably buy a bit too much, meaning that I’m walking with quite a lot of weight sometimes. I am one of those annoying people who can’t remember details from one moment to the next. More times than not I get home from the store only to realize I have forgotten some key ingredient. Another walk to the store! Tack on another mile (1/2 with weight). In Brazil, like many other world cultures (but not the U.S.) the larger meal is eaten at mid-day. Let me add that it is a much more leisurely meal than a typical American “get it down and get back to work” lunch. In the evening we only eat a smaller snack such as bread and cheese and perhaps some fruit. The kids and I have all come to love this schedule although we had some difficulty getting used to it. It feels good not to go to bed with a full stomach. Although there are plenty of sweets and fried foods there is also a wide variety of fresh and healthy foods readily available in both restaurants and groceries. Another happy surprise has been that organic foods are not much more expensive than non-organic, making it easier to choose the healthier alternative. And when we do buy sweets they are normally about half the size of their American counterparts. Super-size is not in the vocabulary. When I left the U.S. I left many stresses behind. We now know through research that stress hormones can cause weight gain (see Advanced Health and Life Extension). I am convinced that my lower stress levels have made it easier for my body to shed weight. Based on my surprise weight loss in the last 5 months here is what I would say about designing your lifestyle to lose weight without effort. If you are becoming location independent keep lifestyle in mind as you choose your destination and daily activities. At home in Texas I tried to walk a couple of miles a day but it was easy to skip when other things came up. Here in Brazil I don’t have a choice. If we want to eat, I have to walk. If I want to do anything outside of my home, I have to walk. It’s just built in to life. Don’t recreate your unhealthy lifestyle. Design something new. And seriously consider giving up dependency on a car! Much of the world eats their larger meal at mid-day. You’ll burn a lot of it off in your daily activity and you won’t go to bed with undigested food in your stomach. Are the locals where you are living fat? Probably not. If not, eat what the locals eat and live like they do. They’re doing something right. If the locals are fat, take a look at what’s going on and don’t mimic their lifestyles. Hormones are such strong factors in how we feel, look, how much energy we have etc. Lowering your stress level will help your body balance these hormones. Choose a lifestyle that doesn’t re-create the stresses you were trying to escape. You may not lose weight fast from this. I didn’t. However, I have been losing weight slowly and steadily without effort and that’s something that never happened to me at home. I can’t wait to see what happens when we go to Oaxaca and begin living in a higher altitude! Great summary. I love the walking lifestyle and is something we are heavily considering with our next location. My wife and I have talked about having everything close and getting on bikes to go from place to place. I really think that is a major step towards being well, not only for yourself but the environment as well. The next thing I liked was eating the large meal mid-day. This is something we need to think about as it really does make a difference. Having a strong breakfast and nutrient heavy lunch is great brain food as well. Living the internet lifestyle has its perks in terms of freedom. What we forget is to put value back into ourselves and our health. That is an ingredient that I am working on now more than the fancy internet marketing stuff. Great post! Riding may not provide cardio in the way you would be riding "around town;" however, it is still good exercise and maybe if you had a horse, you would find places to ride that would allow the cardio fitness. What fun that would be! This is a great article. All of the lifestyle changes sound wonderful. The other thing I thought was interesting is that you stopped using soy milk and started using whole milk. In the US we are told that soy is health food. However, it contains a lot of phytoestrogens that can throw hormones out of balance and many people can't digest it well. The other thing is that we have been told that low fat is good. In reality, getting enough good fat is crucial to mental and physical health. I find that getting enough good fat helps me feel more satisfied and eat less over all. I love it that their dessert portions are 1/2 the size. I wish our mindset in the US could get into downsizing rather than super sizing portions. Thanks for your comment. I'm really interested in what you said about soy and hormones. I have been wondering about hormonal changes in myself since we've been living here and whether some might be attributable to going cold turkey on the soy. I have also noticed changes in my daughters in this regard. So hard to know what is attributable to diet and what is just normal development of adolescent and pre-adolescent girls. Right on Carmen! I'd say this stuff is generally true in my Thailand existence as well. I've definitely lost a little bit of weight since moving here and subsisting mostly on the incredible Thai food. And yeah, I KNOW I definitely don't get as much exercise as I should or wish I could. Great post. It's tough to get exercise when our professions are laptop based. It takes determination and consistency to make it happen. Maybe you should look for Richard in the "Prison Park"! It's ironic that while many people who travel gain weight from all the food the indulge into, now that I've been "home" for the past six months I've gained some weight here in California. But when I'm in Asia, such as my regular haunt of Bangkok (where I'm headed to in a couple of days), I'm able to keep my weight at the level I want. No doubt its because of the lifestyle there where one walks a lot over driving. I also have a bicycle that I ride nearly every day, and I can be found at Bangkok's "Prison Park" (a once notorious prison converted into a city park) at the outdoor gym. Eating the appropriate amount of good food also helps. Frankly, when one goes through such a lifestyle change, you can expect to achieve success in areas that have always eluded you. Good point Richard. When you overhaul your daily routine including what you eat and how you move, shifts are bound to happen! Now – you didn't mention the lack of California wine in Bangkok as perhaps helping the waistline?! Oh so true Carmen! I can't tell you how different my eating habits have developed since living in Australia. I think the heat has a lot to do with it as well. When you are stress free and warm you are just aren't as hungry. I too walk everywhere and it's fantastic for weight maintenance. Where in Brazil are you living? I can't wait to explore South America! I'm finding that too. Here in Brazil as the weather has become hot I just don't eat as much. Only want to drink all the time. There are a great variety of fresh juices available which makes drinking fun (and yes, you can add cachaca if you want! – but I'm talking about real thirst here). Also the tigela de acai (frozen acai so that it's like ice cream and eaten with granola and banana) is a great hot weather treat. To answer your question, we are on the southern island of Florianopolis, Brazil in the state of Santa Catarina. I highly recommend it as a beautiful, active and safe place for nomading. It also has a large international population – mostly of europeans. I definitely noticed that I lost weight while I was living in South Korea. Koreans eat a lot, but it is all extremely healthy food, with little processing. They also tend to nibble throughout the day, rather than to have large meals. I know of very few expats who have moved to Korea and *not* lost weight. Moving abroad can't replace diet and exercise, but it definitely helps. Excess estrogen contributes to excess weight–and then excess weight contributes to excess estrogen, which unfortunately becomes a negative cycle. Of course, without doing some kind of testing for hormones and/or experimenting with the soy products, it is hard to know whether (or how much) cold turkey withdrawal is contributing to the changes you are noticing in yourself and your daughters. The entire endocrine system is in a balance, so if one aspect becomes over- or under-activated, it can affect a lot of other areas that we wouldn't think it would. Certainly weight is one area of concern. The immune system is another. Hormones are such a fascinating subject. I wish we understood them better. They seem to be responsible for so much of how we feel and what we experience physically as well as mentally and emotionally. I have had a sleep disorder since I hit puberty and have sought all sorts of help for it. Nothing has been as helpful as a doctor who finally addressed it as a hormonal issue. Thanks for your information! You know, it's been interesting. Before I left the U.S. I had struggled with gall bladder issues for several years (I had been told by my doctor to remove it surgically but opted for a home remedy and watching my diet). In Brazil they seemed to go away completely. Within a day or two of being back in the U.S. they reappeared even though I wasn't eating high fats and really didn't watch my fat intake much while in Brazil. It has really made me wonder about the processing of our food here because I can't seem to pinpoint my problems to any particular types of food. I do know, however that the food in Brazil was not processed as much. I'll be curious to see how I feel in Mexico. i also want to lose wieght but in an effective manner. its really mess when somebody says that do this do that and mostly it dont work. hope i will be avble to burn fat easily with natural process. It is fascinates that loss weight without diets and exercise. Now there are couple of gadgets and tips for weight watchers. But they are tried from their diets and exercises. So that they are finally go for cosmetic surgery. Really informative post. At first glance sounds like chaotic because i could pissed my head that if we should not eat proper foods and not spent times for exercise,then how to loss weight. But my doubts are cleared after read your article.